of education that benefits students around the world. 60 years have passed since the founding of Kumon. More than four million students* in more than more than 50 countries and regions are studying with the Kumon Method. The Kumon Method is aimed at building up the basic academic skills of reading, writing, and math regardless of a student’s age. It is an individualized study method that enables students to become self-learners. The foundation of Kumon is the development of basic academic skills. The positive results of study with the Kumon Method have been recognized. Toru Kumon, a high school math teacher, began providing education-based on the concept of self-learning to his son, Takeshi, then a second grader in elementary school. He wrote numerous calculation problems on loose-leaf paper for his son. This was the origin of the Kumon Method. The office of the Osaka Institute of Mathematics is established in Osaka, Japan. 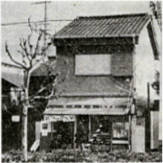 Toyonaka Uenozaka Center where Toru and Teiko Kumon instructed students together (circa 1965). The Osaka Institute of Mathematics Ltd. is established. The first Kumon Center is opened in Shinjuku, Tokyo. From 1959 to 1962 the Kumon office was located in a rented room inside this residence in Osaka. The total number of subject enrollments exceeds 10,000. The company name, Osaka Institute of Mathematics, is changed to Osaka Kumon Institute of Mathematics. The Tokyo Kumon Institute of Mathematics Ltd. is established. The first Kumon Instructors Conference is held in Osaka, Japan. Kumon began holding the Instructors Conference annually from this year to provide Instructors with an opportunity to share the results of their instruction and voluntary study group activities with their colleagues from around Japan. The Kumon English Programme (for native Japanese speakers) is launched. The Kumon Japanese Programme (for native Japanese speakers) is launched. The total number of subject enrollments exceeds 1 million. The Kumon Japanese Learning Program (for foreign learners) is launched. Global Communication & Testing Co., Ltd. (GC&T) is established. GC&T is in charge of promoting the TOEFL Junior® and TOEFL Primary® tests in conjunction with its partner ETS (Educational Testing Service), the world’s largest nonprofit test development organization. This is the 100th anniversary of the birth of Toru Kumon. It was with the opening of a Kumon Center in New York in 1974 that the provision of Kumon Method study outside Japan first began. Initially, most students at this Center were the children of Japanese expatriates. However, as the effectiveness of the Kumon Method became more widely known, local children began to enroll. Today, Kumon has established itself as a provider of quality education for local children through local Instructors in many countries around the world. A public elementary school in the United States implements Kumon Math. When the vice principal of Sumiton Elementary School in Alabama saw a TV program about Kumon she became convinced of the efficacy of the method and felt that it could really help her students to get over their aversion to math. This was the first time that the Kumon Method was utilized in regular school classes outside of Japan. The results were even greater than expected and this achievement was hailed as the “Miracle of Sumiton” in a variety of media. This publicity led to greater awareness of Kumon and the establishment of more and more Centers around the world. 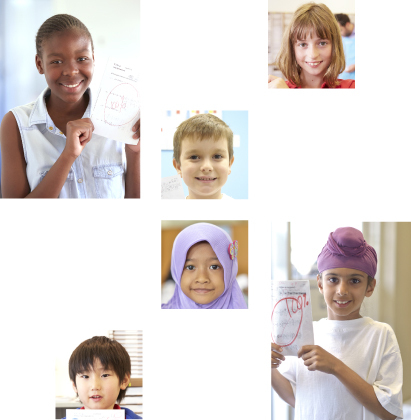 The Kumon English Program (for native English speakers) is launched in Australia. The Kumon English Program is currently provided in 22 countries and regions around the world. The Kumon EFL Program (English as a Foreign Language) is launched in Brazil. The Kumon EFL Program is currently provided in eight countries and regions around the world. The Kumon Spanish Program (for native Spanish speakers) is launched in five countries in South America. The Kumon Spanish Program is currently provided in seven countries around the world.